Franchising has proven to be a successful business model across a wide spectrum of industries using multi-unit retail distribution. At its heart, franchising allows everyone to focus on what they do best: manage, support, and grow the brand in the case of the franchisor, with franchisees focused on delivering a high-quality, consistent product or service to the ultimate customer. Refranchising (the sale of franchisor-owned units to new or existing franchisees) allows franchisors to address both financial and strategic goals in their business by optimizing the mix of company and franchised ownership. Refranchising has been a hot topic in the restaurant industry in particular, with a number of national chains executing large-scale refranchising initiatives over the past 5 years. The Cypress Group led most of these large-scale refranchising programs. We see this activity continuing for the foreseeable future, likely spreading to multi-unit segments outside the restaurant industry. Historically, most franchised restaurant concepts have operated under an ownership structure that had the franchisors owning and directly operating a “material” percentage of their overall system. While this ownership percentage has varied from brand to brand, it was historically significant, generally in the 25 to 50 percent range. The thinking was that this level of ownership meant franchisors would lead by example, essentially showing their franchisees how to operate the business. Additionally, this direct ownership was seen as the best way to align the interests of the brand and its operators. As it has matured, the chain restaurant business has become much more complex. Increased competition, governmental regulation, changes in the workforce, and consumer preferences have made the business more challenging today than ever. Many chains have concluded that new thinking is needed to address today’s environment, with refranchising initiatives becoming an important brand strategy. 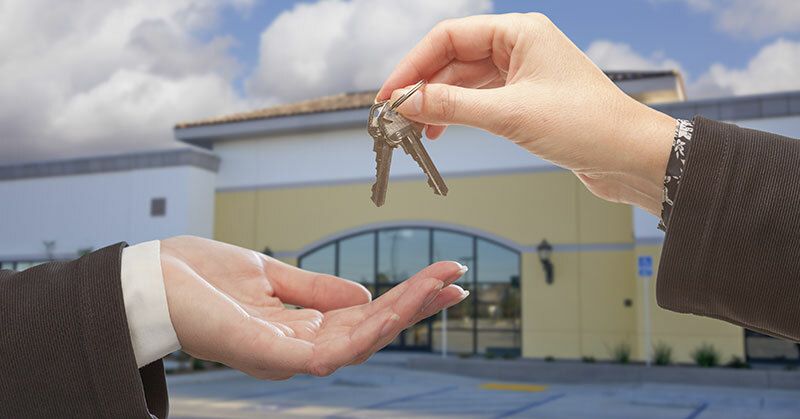 Although franchisors have historically fine-tuned their ownership of units, today’s refranchising initiatives tend to be larger and have more strategic implications. In recent restaurant initiatives, we have seen franchisors go as far as zero company-owned restaurants. The trend toward larger and more sophisticated restaurant franchisees has helped operators deal with the more complicated business we see today. It also has created demand for large-scale refranchising initiatives in national systems such as Wendy’s, Burger King, Applebee’s, and TGI Fridays. So can refranchising be a “win/win” for franchisors and franchisees? In our experience the answer is yes—if designed and executed correctly, with benefits for both franchisor and franchisee. Comp sales growth driven by a renewed focus on menu, marketing, technology, reimage initiatives, etc. New unit growth with expanded franchisee footprint, ideally in combination with new prototypes and corporate initiatives including enhanced real estate and construction resources, incentives, etc. Ultimately, we believe refranchising is here to stay. These initiatives have the ability to revitalize and improve the operational strategy of major franchised organizations. Franchisors undergoing the process are finding a renewed sense of purpose, and are focusing on innovations and brand management without having to worry about daily restaurant operations. Franchisees are granted the opportunity to grow their portfolios large enough to be able to streamline operations, leading to greater efficiencies, sophistication, and success. When designed and executed correctly, refranchising encourages partnership with strong players, whether new or existing franchisees, creating a stronger overall system and growth opportunities for all involved. And, while restaurant refranchising initiatives remain a hot topic, we expect to see the discussion quickly expand into non-restaurant, multi-unit retail systems that can benefit from the same sort of dynamics experienced in restaurants. Dean Zuccarello is CEO and founder of The Cypress Group, a privately owned investment bank and advisory services firm focused exclusively on the multi-unit and franchise business for more than 25 years. He has more than 35 years of financial and transactional experience in mergers, acquisitions, divestitures, strategic planning, and financing in the restaurant industry. Contact him at 303-680-4141 or dzuccarello@cypressgroup.biz. Dan Collins joined the Cypress Group as a principal 3 years ago, following 35 years of experience in the restaurant and financial service industries. Before that he was SVP and treasurer of The Wendy’s Company. Contact him at 303-680-4141 or dcollins@cypressgroup.biz.